The healthiest foods are usually the easiest to cook and carrot ginger soup is a prime example. 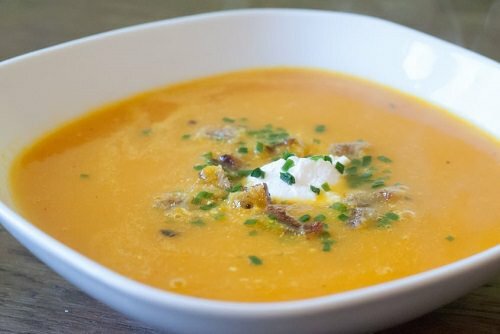 If you have carrots, ginger, strips of orange zest, butter, vegetable stock, salt and pepper, you have all you need to make this deliciously healthy soup. Melt the butter in a soup pot and cook the onions and carrots until the onions get soft. Add the rest of ingredients and cook for 20 minutes. Remove the orange zest and blend the soup until smooth.